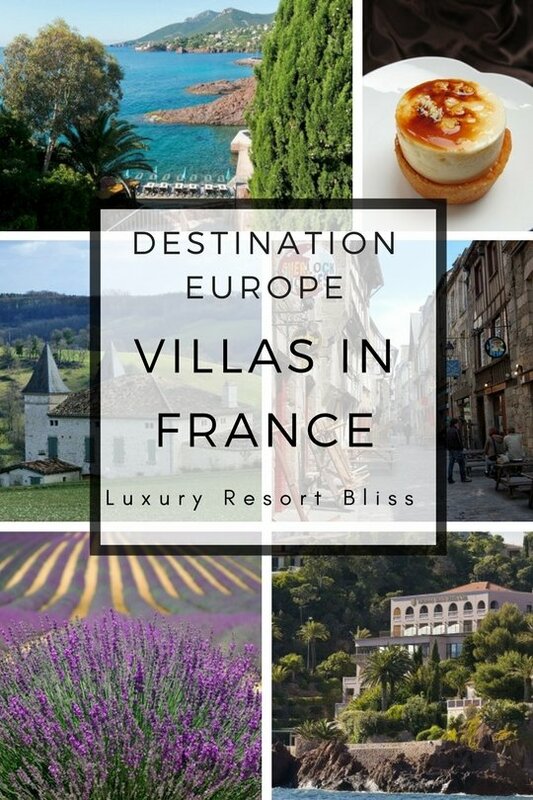 Looking for a great France luxury villa resort? Here are some beautiful and excellent resorts with great villas - plus one with a panoramic private suite. Located in Tourrettes, France. There are 2 year-round golf courses, a golf academy and clubhouse. The spa has 12 treatment rooms, lots of great treatments and 2 VIP couple's suites. Other activities and amenities are a fitness studio, a zen studio, an outdoor pool, whirlpool, tennis academy and 2 tennis courts, babysitting, hiking, bicycling and more. The hotel provides special amenities for children. They include a special pool, children's menu, bathrobes and more. The main restaurant has great views and serves contemporary Mediterranean cuisine. You can dine indoors or al fresco. There are 115 suites and villas with natural wood and stone finishes. Colours are inspired by sunshine and flowers. All have separate bedrooms and living rooms and private terraces. The spacious bathrooms have deep soaking tubs and some have large picture windows. Reviewers give this resort excellent ratings! 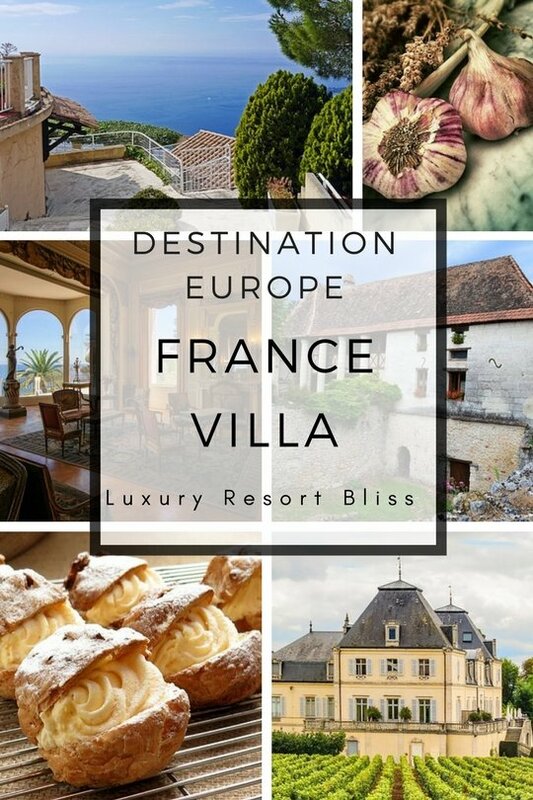 They are happy for a child friendly and 5 star France luxury villa resort (which can be hard to find in Europe), there's excellent service, and the location is great. Some suggest you book a package that includes breakfast as food prices can be expensive. 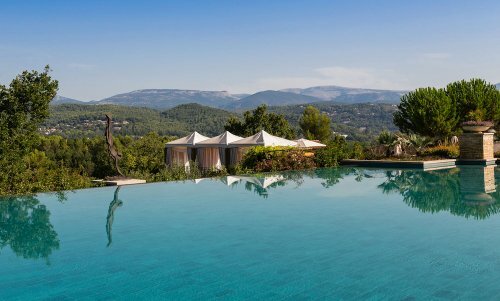 Get more information and see the latest reviews for Terre Blanche Hotel and Spa. 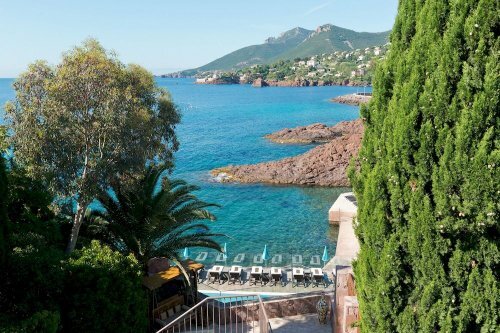 Great France beach resort in Theoule-sur-Mer close to Cannes-Mandelieu Golf Club. The resort is on a private beach, has a full-service spa, outdoor pool, tennis court and more. Aside from the 59 rooms, there is a 2 story, serviced villa. There are 3 bedrooms, terraces overlooking sea and garden, kitchen and privacy. Get more information and see the latest reviews for Miramar Beach Hotel. 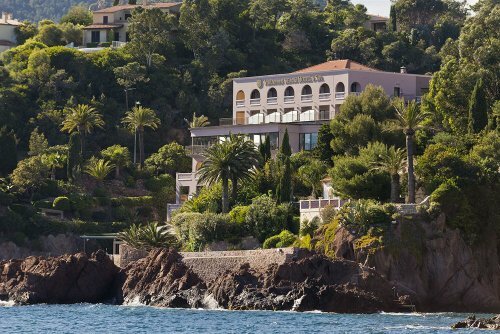 Located on the Riviera, La Réserve de Beaulieu is ideal for luxury and natural escape. The hotel has 39 rooms, suites and 2 luxury villas. Resort amenities include a great spa, restaurants, pool and more. Reviews are excellent. Get more information and see the latest reviews for La Reserve de Beaulieu. 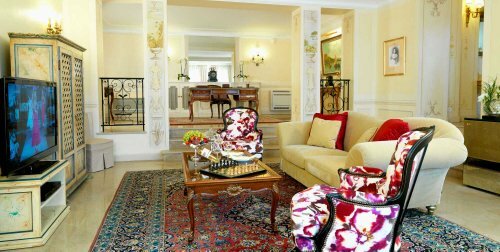 This luxury spot in Eze, is on the small size with just 38 guestrooms. A very special feature is a panoramic suite with terrace, private infinity pool, jacuzzi and modern, sophisticated room amenities. There are also 4 restaurants, an outdoor pool, garden and more. It's not far to Monte Carlo. Get more information and see the latest reviews for Chateau de la Chevre d'Or. 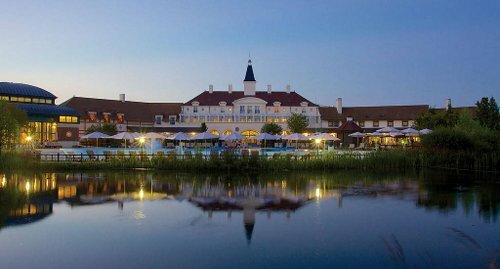 Close to Disneyland Paris but in the French countryside, this resort is made up of 1-3 bedroom townhouses. They have kitchens, living and dining areas, private terraces and more. Great for kids, there are children's activities, pools and a fitness center. Get more information and see the latest reviews for Marriott's Village d'Ile-de-France. Nice Eco-friendly boutique France spa resort only 200 metres from the famous Promenade des Anglais. This is another great France Beach resort designed by Matali Crasset. Get more information on this spot. I'd recommend taking a look at the reviews for this one. A complete guide to France's most famous landmarks, monuments, museums, and attractions.